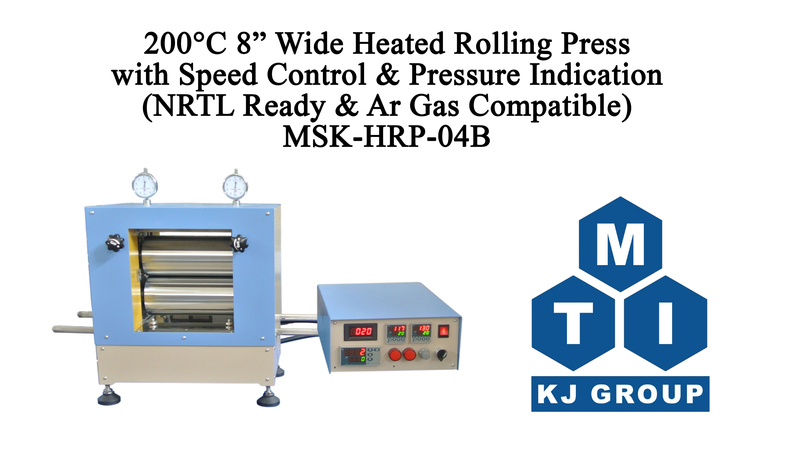 MSK-HRP-04B is a desktop rolling press with maximum working temperature up to 200°C. 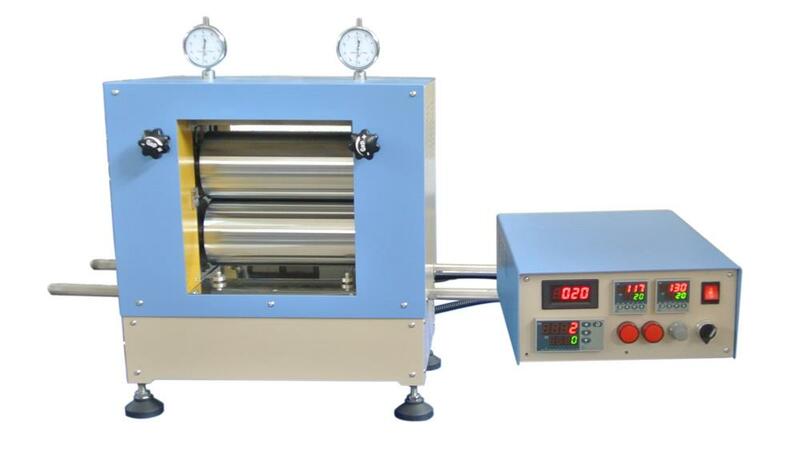 The temperature of two 8'' wide rollers is individually controlled by two PID temperature controllers to achieve better heating uniformity and control accuracy. 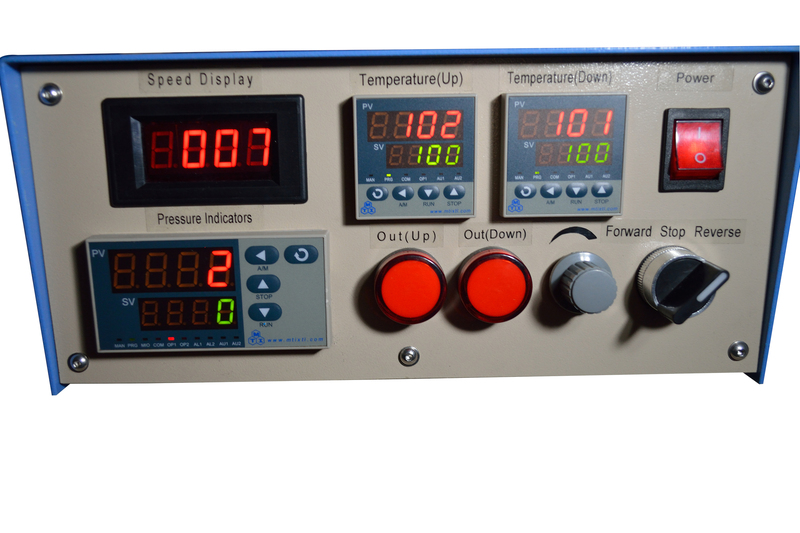 The compression pressure force can be measured by the integrated load cell and displayed on the control box during the process. It is an ideal tool for calendering battery electrodes, plastic media, and soft metal foils. 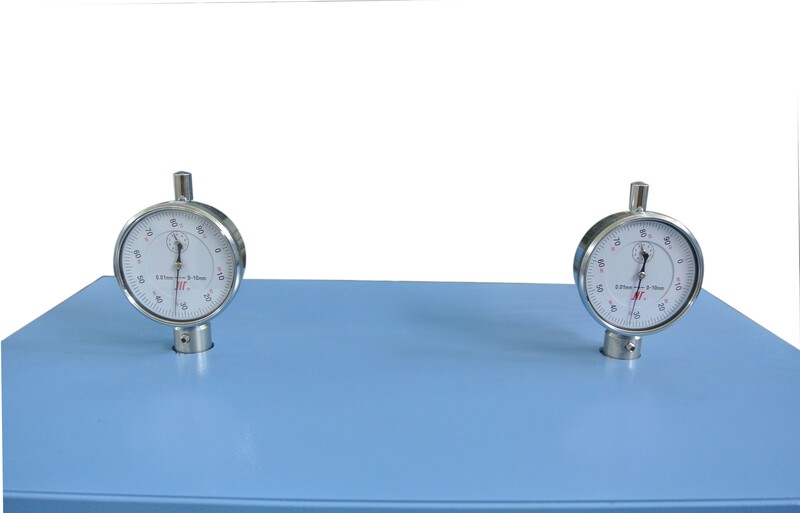 Typical usage is to increase material density and achieve better surface quality. 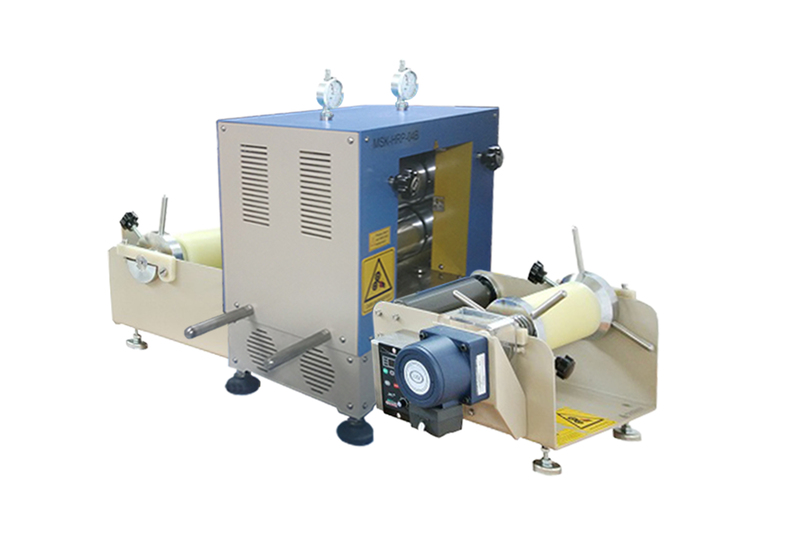 MSK-HRP-04-RD R2R system can be integrated with the calendering machine at extra cost to enable the automatic film unwinding -> winding after calendering. 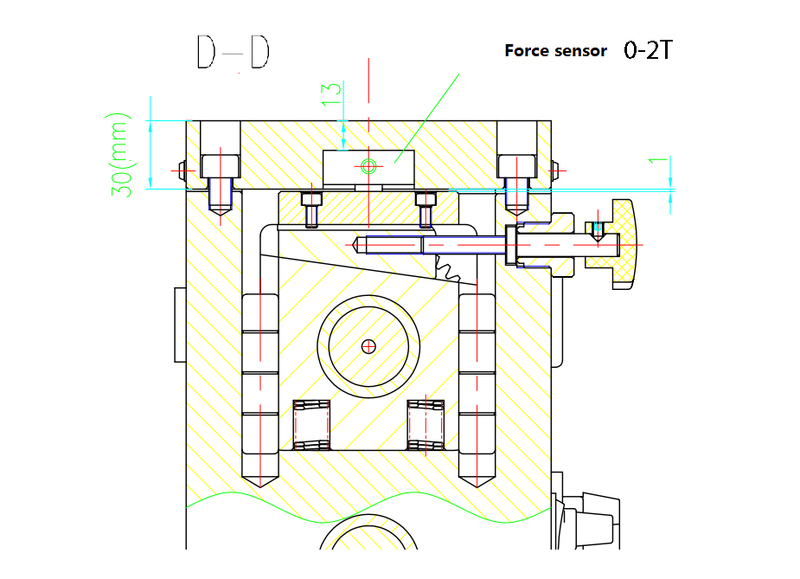 Please click underline to view product details. NRTL or CSA certification is available upon request at extra cost. 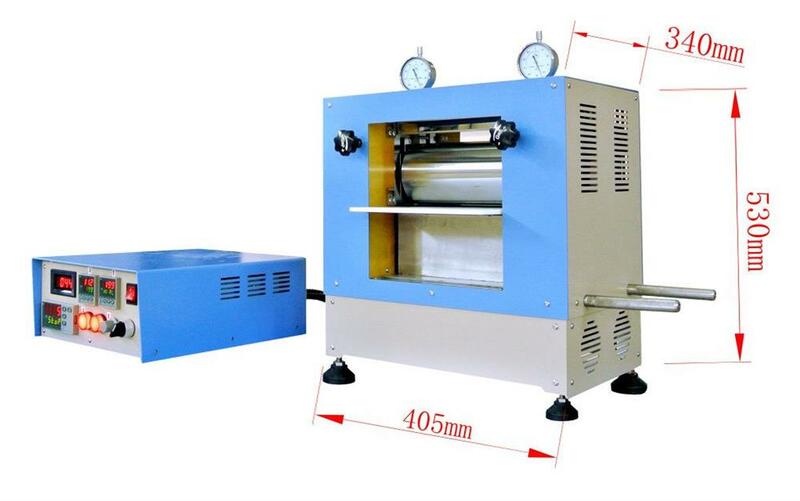 Do not touch the surface of the rolling part of the machine when the rollers are heated up or running. 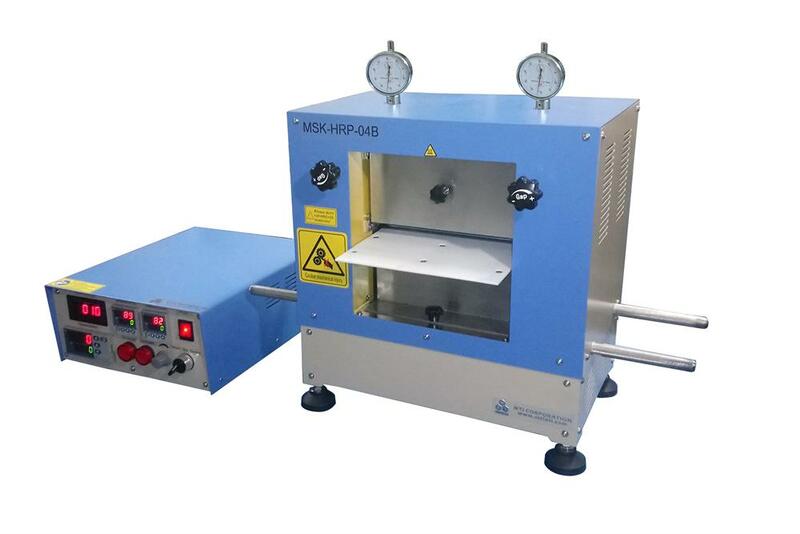 Multi-step thickness calendering needed: While calendering the sample sheet, make each calendering decrement of 0.02mm comparing with sheet original thickness. Don't to use any the product in any hazardous location, such Class I environments (flammable gasses & vapor).